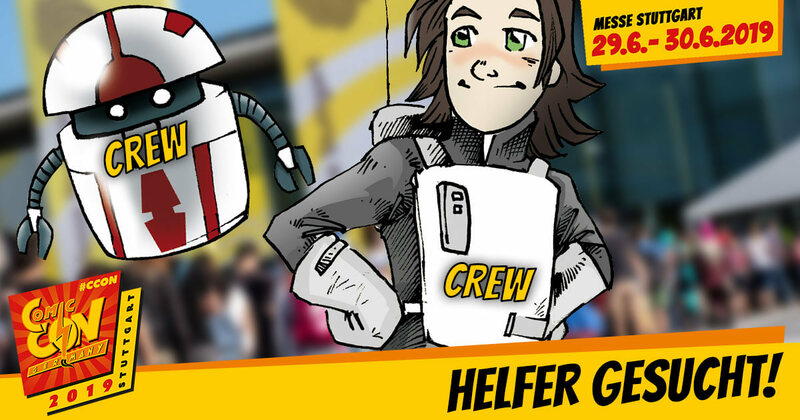 CCON | COMIC CON GERMANY 2019 | Infos | Helfer gesucht! Become a part of the CCON | COMIC CON GERMANY 2019 crew. For our event from 29 June to 30 June 2019 at the Landesmesse Stuttgart we are still looking for support in various areas. Attention: The prerequisite is that you understand and speak German well. You will then receive detailed information from us about the options available. The CCON | COMIC CON GERMANY team is looking forward to seeing you!